These document or copy holders keep your notes at eye level to help you reduce neck strain and shoulder tension. Revolutionary design allows you to view documents anywhere on your desk without clamping. 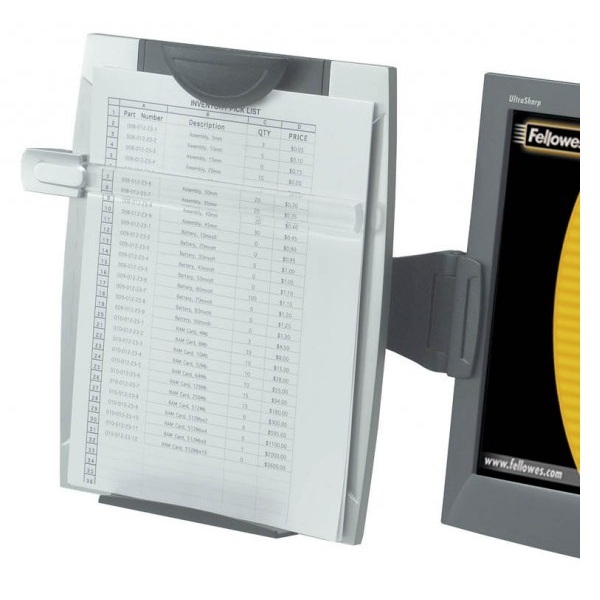 Handy easy to read paper holder is ideal for displaying brochures or data entry work. Uses electro-adhesion technology... No pins, no tape, no glue, no magnets! A versatile desktop unit perfect to use as a desk organiser, script holder, advertising display and many other uses for home and office. 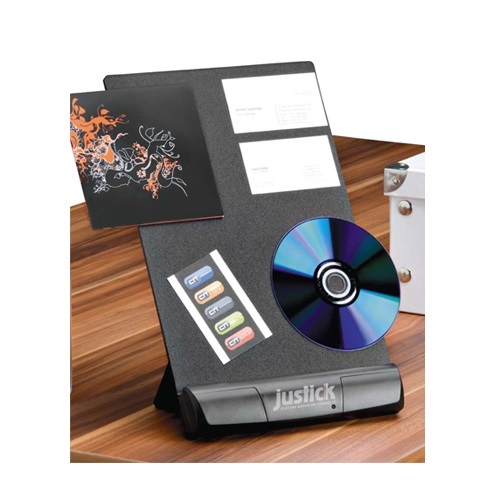 Electro adhesion energy flows through the surface of the desktop holder, flat materials like paper sheets, thin cardboard or plastics stick like magic - even debit / credit cards, a CD or DVD will adhere without affecting their performance. 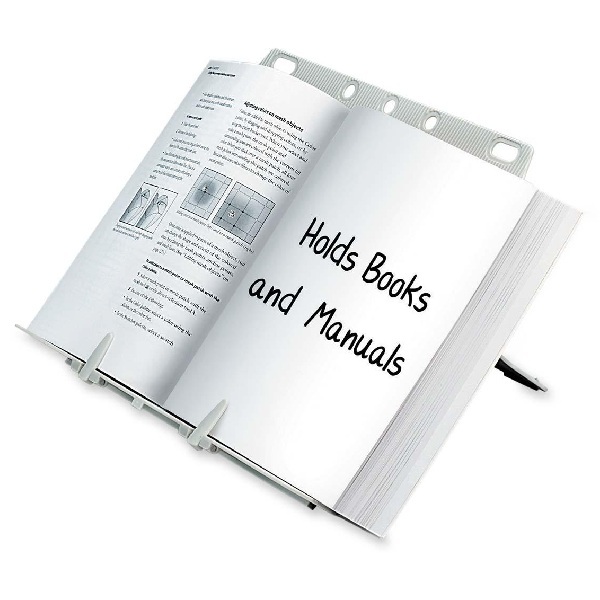 Specially designed copy holder for large textbooks and manuals. Deep 40 mm ledge gives firm base for heavy books, ring binders and piles of paperwork. Two adjustable clips hold pages open at the desired location. Nine height adjustments accommodate virtually any book size and viewing angle. Easel style holder with non-skid base folds flat for storage. Stylish, modern desktop easel Copy Holder with curved surface to optimise viewing distance. Six different copyplate angle settings. Left and right fitting swing away line guide. Supports A4 to legal paper sizes. A Copyholder, Dry-erase memo board (ideal for reminders) and Clipboard , when removed from base. Line guide slides up or down and swings out of the way when not in use. Holds up to 150 sheets of paper at a time and adjusts for A3 paper. 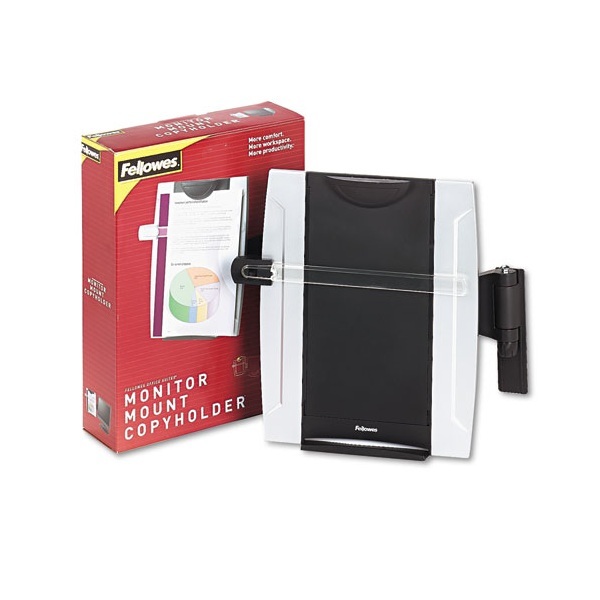 This adjustable, monitor-mounted copyholder is the smart way to improve comfort and productivity. Easily mounts to either side of LCD/TFT or CRT monitors. 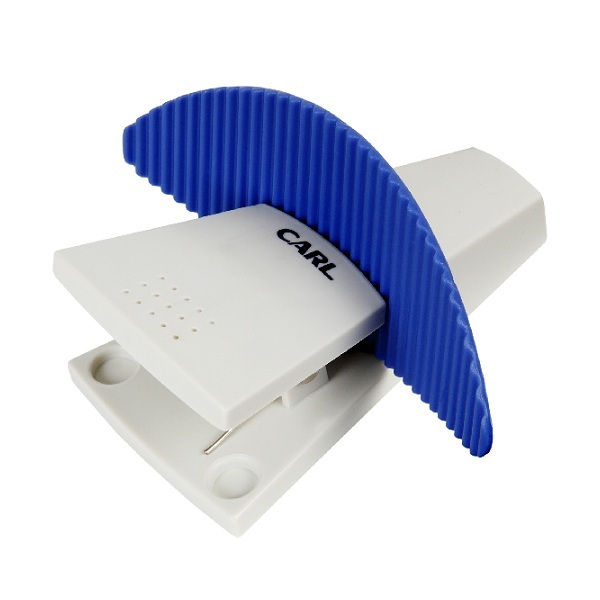 Adjustable copy clip holds up to 100 sheets of paper. Adjustable tilt to customize your viewing angle. For workstations with less space. Keeps documents between the monitor and keyboard to help reduce head, neck and eye movement. Tilt-angle and height adjustable 355 mm (14-inch) wide transparent backplate with non-slip base. Elastic line guide enables easy data entry and helps keeps documents in place. Supports books, catalogues and landscape documents up to 150 sheet capacity. 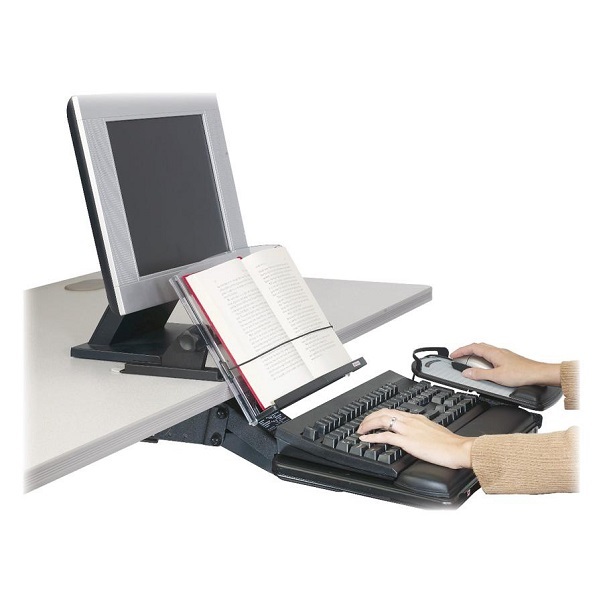 Keeps document holder between the monitor and keyboard to help reduce head, neck and eye movement. Versatile angle and height adjustment for easy viewing. 457 mm (18-inch) wide transparent backplate, weighted base and non-slide grooved shelf with raised edge. Supports books, catalogues and landscape documents up to 300 sheet capacity.